The Grand Dame Hotel stands magnificently at the corner of Rizal and Huervana Streets, Lapaz, Iloilo City illuminating the old charm and elegance of a classic French architecture. A renowned interior designer from Manila conceptualized the magnificent indoors. The word, Dame, is a noun meaning, a lady. It is a title of the order of the British Empire conferred on a woman, equivalent to that of a knight, who had rendered years of admirable service and loyalty to the kingdom. The phrase, Grand Dame, therefore, refers to a legal title of a â€œgreat ladyâ€ whose accomplishments have been recognized by the highest authorities. As a serious emancipator of hospitality services, it aims to be recognized as a world-Class Hotel by combining the comforts of the traditional surroundings, five-star hotel service with the convenience of todayâ€™s modern and classic amenities. The whole building is strictly non-smoking. It is handicapped friendly. Two Schindler elevators conveniently serve all the 7 floors. It has a specialty restaurant at the 3rd floor and Iloiloâ€™s pride JD Bakeshop on the ground and second floors. There is an in-house Coffee Shop and Room Service, which are open for 24 hours. It has a Sundry Shop and Laundry Service. Customer parking is available at the basement. The lobby has a classic European design from floor to wall. Hensonco designed scrolled irons of black and gold leaves, beveled glass entrance, Zimbabwe black granite counter tops, Serpegiantte Italian marble, and carved wood moldings finish the terracotta architectural masterpiece. 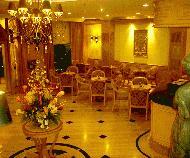 The interior manifests a relaxed atmosphere and enchanting ambience meticulously crafted for a delightful experience. Its lighting fixtures and furniture were orchestrated to optimize artistic features and functional significance. The entirety is just magically alluring to the eyes and a fare of high quality workmanship. It has an efficient business center. It offers the most modern amenities, services and equipment. Among its side services are On-line Booking and Reservation, Day Tours may be arranged, Ticket Confirmation and Secretarial Jobs. It is close to all attractions. It is minutes by public transit to Iloilo Museum, Regional offices of the Government, Malls, commercial establishments, churches, seaports, airport, bus terminals and recreational facilities. It is a short walk to banks, shopping center, public market, grocery, saloon, spa, pharmacy and shops. The hotel has installed an efficient Security Surveillance System for its guests. It is equipped with smoke and heat detectors, fire escapes, and water sprinklers in each floor. It has CCTV cameras along the public and guest hallways. It has strategically positioned Hotel Security Guards at the entrance and exits, and all the employees are trained for Crisis Management and Disaster Preparedness. The hotel has a total of 35 rooms (4 suites, 30 De Luxe Rooms and 1 Handicapped De Luxe Room). The de luxe rooms have a floor area of 25 square meters and 30 square meters for suites. European tables and chairs in Sandel wood finish warm your heart upon entrance. The orthopedic bed is covered with multi-layer of fresh fabric and special duvet for feather-like pampering. All your worries of the day just banish by the meticulous accentuation to elegance and bodily comfort. All the rooms were specifically designed to treat each guest as if it is their home away from home. Each room has an en suite bathroom with top of the line Villeroy and Bosh water closets, lavatories and glass enclosures. It made use of high quality tiles for flooring and comes with hot and cold shower, vanity counter and Wallenberg or Allepo wall lamps in black and silver. Custom made towels, earth-friendly toiletries, high grade fixtures and parapets of muted colors complete the bathroom features. Every room floor has wall to wall carpet of naturally weave maize. It has its own telephone, complimentary unlimited room internet access, air conditioner, colored TV with cable, personalized refrigerator and stocks upon request of a private bar for the late night munchies. All the rooms have it own porch. Capacious windows view the urban Iloilo City, the Island of Guimaras and the historical Iloilo River. There are smoke and heat detectors. There are water sprinklers and alarms. A safety deposit box can be found inside the closet. Subdued colors were utilized on bastions, draperies and portieres to show the quality of all the materials used. Excellent lighting arrangement completes the overture of attention, comfort and detail provided only by the rapture of Grand Dame Magic. In general, the hotel can be described as modern, safe, clean, convenient and contemporary. It is a haven for transients, tourists, business travelers, families and the health conscious. To state is simply, it is a place where the goodness of life can burst into bloom for everyone to transact business, stay, dine and enjoy. The staffs at Grand Dame Hotel are always friendly and available to personally assist guest. The care and attention they provide ensures all of a pleasant and a magical experience of the hotel. Daily Newspaper and Complimentary breakfast is arranged from 6 to 10 every morning. In-house laundry, valet parking, 24-hour room service, electronic safe, international and domestic direct dialing, sundry shop, and accessible room for the physically impaired. The Grand Dame Hotel is equipped with a wireless internet amenity. Dear Sir/Madam: I am a graduating student of Central Philippine University, studying Bachelor of Science and Tourism. Iâ€™ll be graduating this April 2014 and willing to work already after graduation. I would like to apply for the FRONT DESK RECEPTIONIST position if there is available slot for me. You may contact me through my mobile number 09996542451 or send me your reply through my email at anaisninsalvilla@yahoo.com.ph Thank you for your time and consideration. Iâ€™m looking forward to your reply regarding to this employment opportunity. God Bless! may i ask for the hotels services and and its rates? please send me contracted rates. good day! its from DAON TRAVEL & HOTEL RESERVATION SERVICE,here in malate manila. can you pls.send to my e mail your contracted rates. thanks!!!! email add please of your HR? Hi! Can you please email me your rates of your wedding packages good for 100 pax? The wedding is on December 15, 2011.
can i have the prices of your wedding packages good for 150persons, the menus and the lists of services included in the package? Hello, How much is your standard handicapped room? Thanks. I am booked to stay with you on these dates 9/23/11 check in. I fly in from Cebu in Phillipine Airlines at 2:45 pm above date I need airport transfer to hotel. Party of three. Please let me know that my party can be picked up at the above said time and date? Pls send civil wedding package for 30 persons.Thank you. hi po, pls send me packages for a civil wedding good for 30 persons only pls send asap and if u have a smart no. so that i will the 1 call u..pls send on my email thanks much. please send me your wedding packages and menus including all Your Wedding Package Amenities..also please advise if you have a band available and how much would that be. gud pm im John Ritchel Catotal from Pototan Iloilo.. i would like to ask if your company is on hiring.. i'm a fresh graduate, and i took up Bachelor of Science in Hotel and Restaurant Services and Technology.. i'm done with my 7200 hours on the job training in LE SOLIEL DE BORACAY-boracay, island.. if your company is in need of a hotel staff, specifically in Housekeeping Department, i will be glad to apply.. please inform me in my email adress (greennike_08@yahoo.com) or contact me on my mobile # 09484073139.. thank you so much and more power. hi can u send me ur wedding package good for 100 pax and wat r d inclusions? my email is ninzkie1984@yahoo.com tnx in advanz..
good day! can u kindly email me ur available wedding accommodations?this is for december 2011. thank you. please provide me your reservations contact number. I cannot go thru your number above. Thanks! hi! good day! can you please email me your room rates sharing for two for March 5, '11. and may i know if breakfast is included.. thank you! i need accomodation for two on april 29th to may 02,2011, with daily breakfast. is airport transfer provided? pls mail your rate. do you have debut packages? can you send me your rates for the good for 100 persons? Good day! I wish to have the all room rates of your hotel, also amenities included. Specifically this Coming Dinagyang event. May you send to my account?. I would highly appreciate if this request remits your approval. thank you! can u send me the room rates & wedding package & debut.....tnx.. I need accommodation for 2 on Oct. 31 and Nov. 1 Please send me your rate and if there is availability on those dates. Hi ! I just want to know the room rate in your hotel....We`re having a buffet lunch party in your Emillion function hall on December 22,2010..We want also to spend a night in THE GRAND DAME HOTEL..Looking forward for your response! Thank you! please send me your wedding package... thank you..
please send me an email about your wedding package ....thank u! Please advise how I may book a reservation for one of our Corporate travelers for the night of August 1 checking out on August 2, 2010. I have been unable to call the hotel directly. Gud day, I want to apply as a staff at your hotel,I am a fresh graduate of BHRM at West Visayas State University.I am willing to go trainings if necessary. You can get intouch me at my e-mail address aven_jake_07@yahoo.com.ph or mobile number 09306028375. Thank you. can u send me wedding packages rates & menus good for 200 persons..
hi.. i really admire your hotel, its very classy.. and i want 2 be a part of your company as a staff.. are you on hiring now? i'm kristine eve abadiano from roxas city, capiz.. i am a fresh graduate, i took up Bachelor of science in Hotel and Restaurant Management.. i'm done with my 400 hours on the job training in Century21 hotel.. if your company is on hiring now, could you pls email me in saraba_Alexeve18@yahoo.com or pls contact me on, my mobile # 09076483920/091639163917385.. thank you so much..
pls send me room rates. thanks! hi! room rates please. and how far is it from the airport and from sm city? thanks! hi, i'm just wan to inquire if this hotel also offer weeding packages? please email the room rates. and i need to know what time we can check-in. is it the same here in manila? (12pm) and include the list of amenties. thanks. i need it asap. can you email me the room rates? thank u..
could you post roomrates please. good for 5 adults (family) thanks! Gud morning, please send me your room rate. 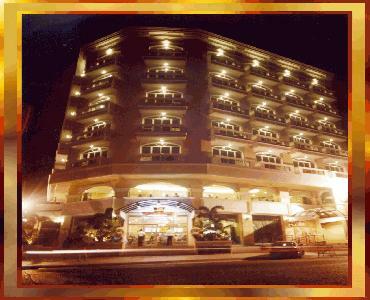 3 adults & 3 kids for 2 room and if available on nov.22 2009 at 21:00 hrs send me asap. pls send me room rates of your deluxe twin room. do you have on going promo rates? gud day...this is pastor yanson...can i ask for your rates?do you have a family room? please send me the rate of ur suite rooms on dec.21 to 23,2009.on 22nd i have my entourage for their hair and make up. Hi! can i ask for room rates for two person (couple). thanks. pls send me email regarding your room rates for couple and family. im looking for a place to house my family and friends on my wedding day. schedule is Feb 13-15, 2010.
pls email your room rates and amenities.. it should have been great if you have rates that we can see right away.. Anyhow, pls email me.. salamat guid nga damo! gud pm. how much is the standard room rates? tnx. I'm wondering if you send me an email because I accidently deleted all new email. So,,you sent it to me, would you send it, again? I want you to email me your rate for 2 persons on 29 August. I appreciate it. kindly email me your room rates for aug.22-23, 2009; one person only. thanks! can you email me the room rates and if there is available room on May 25 to May 27. Thank you..